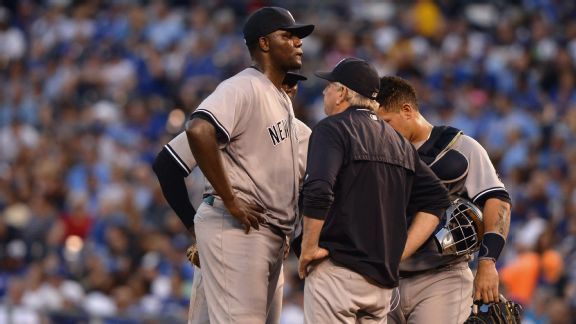 Right-hander Michael Pineda and shortstop Didi Gregorius were among six Yankees who agreed to one-year deals Friday, leaving Dellin Betances as the only remaining player eligible for arbitration. 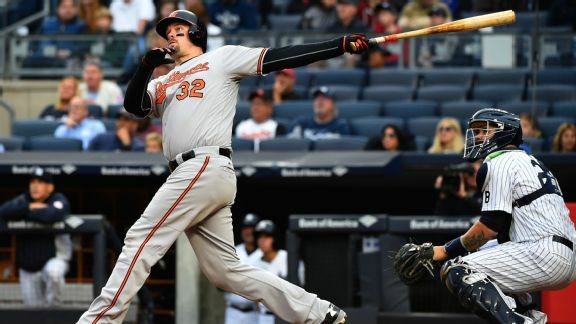 A well-rested Matt Wieters blasted a home run from each side of the plate to power the Orioles to a playoff berth Sunday. The Yankees and Blue Jays could make for must-viewing in 2017, after their 2016 finale ended with four ejections and two bench-clearing incidents. 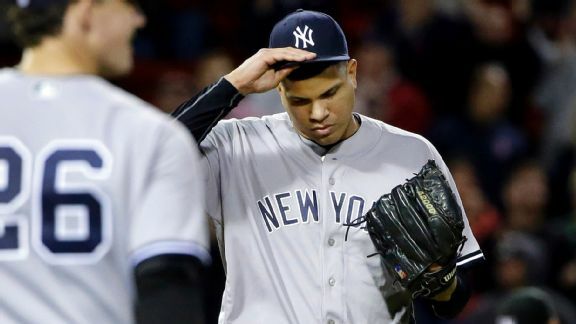 With New York two outs away from a ground-gaining win at Fenway, Dellin Betances was summoned for a third straight day and gave Boston a walk-off win. 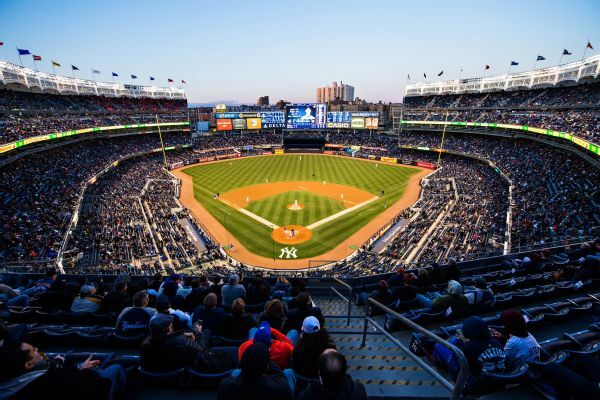 What exactly has gotten the New York Yankees flying so high? 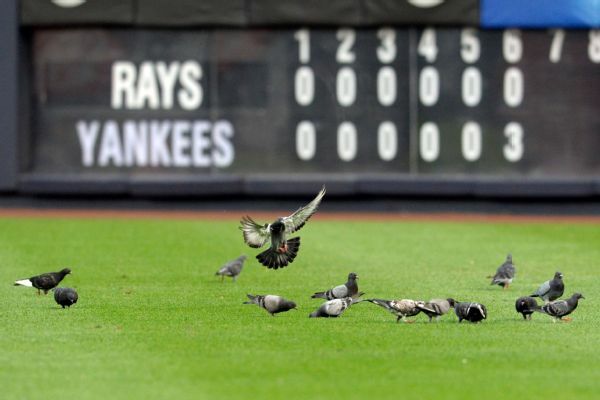 "Pigeon power," says outfielder Aaron Judge. "They're fueling us." 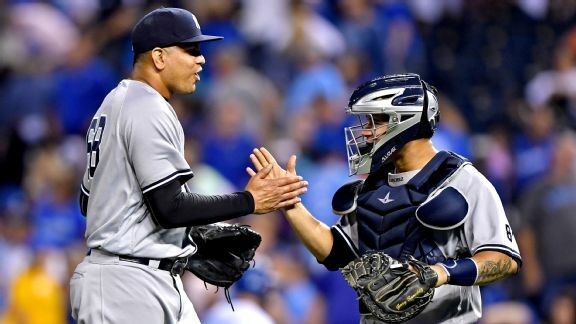 It was presumed the Yankees' playoff hopes were gone after their deadline fire sale, but they enter September with a chance after yet another win. 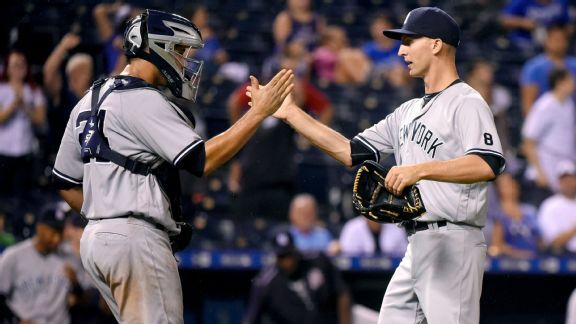 Chasen Shreve closes out an eventful day with a New York Yankees victory. 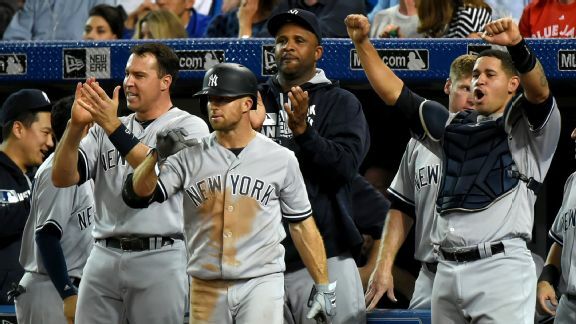 The New York Yankees stumbled out of the gate in the first inning on Monday and squandered a golden opportunity to gain ground in the wild-card race. 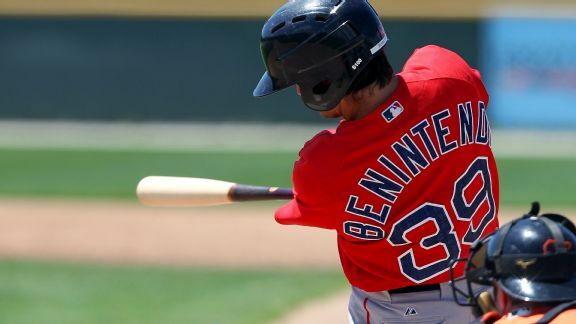 The Boston Red Sox have decided that the future is now for 2015 first-round draft pick Andrew Benintendi, calling up the outfield phenom on Tuesday. 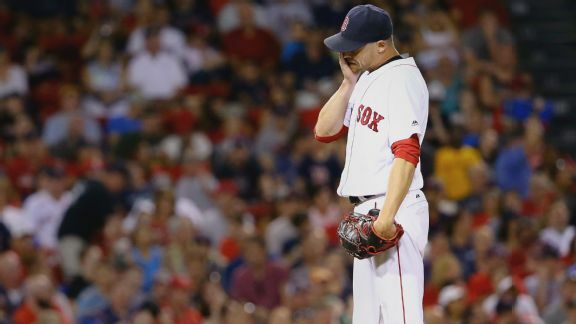 A struggling David Price and a faulty bullpen were the reasons why the Boston Red Sox dropped a second straight game to the woeful Minnesota Twins.